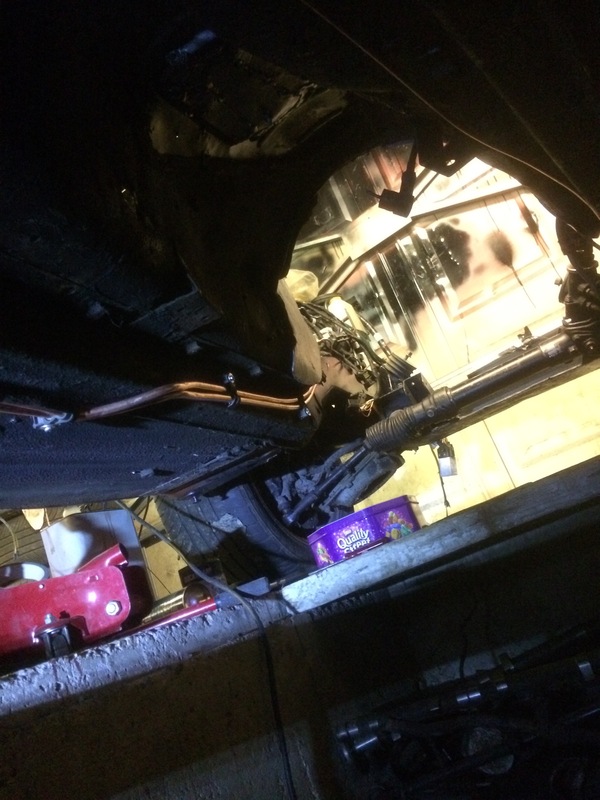 As previously mentioned, I planned to fit the fuel pipes today having finally decided how/what I was going to do! I did spend at least an hour or three looking through cupboards and boxes for the Series 3 valves. I gave up and started working on the pipes. I did find some of the S3 fuel system parts as per below, but not the valves. I know I have them somewhere as I can picture moving them a few times but they are hiding at the moment. 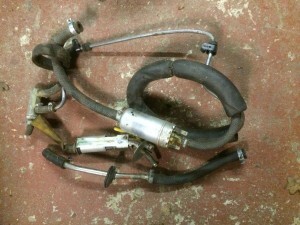 S3 Fuel pump and pipes. All the bits I dont need! I did then work out a route with very little modification to the body save a few screw holes and a minor trim of a flange along the floor. The two pipes are fixed approximately every 12 inches using either modified (cut smaller) versions of the XJR pipe clips or new Stainless rubber covered P clips. There is still a little tidying up to do to make them look a little straighter but they are in place. 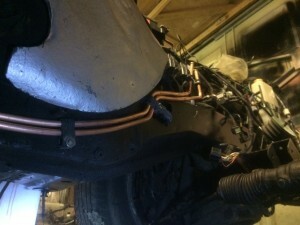 I have made up a couple of pipes to go up and over the rear suspension cage and into the spare wheel space in the boot. I will have to drop the cage down a little to install them so I did not manage to get to that today. 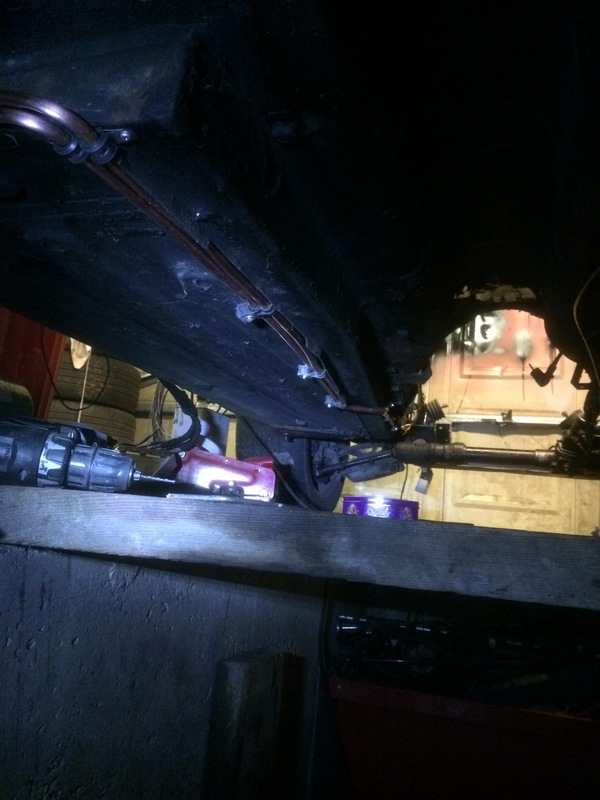 The pipes in the photos and the two going over the suspension cage will be joined using short rubber pipe sections. 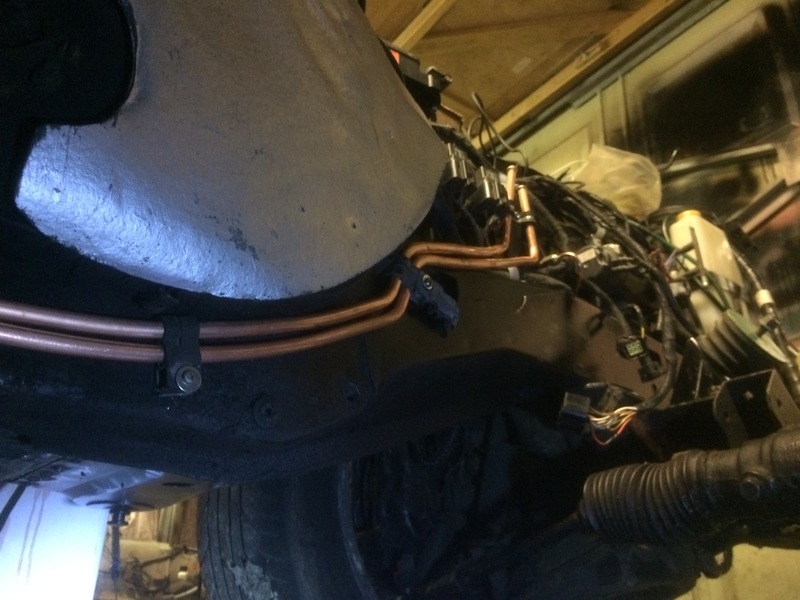 The copper ends of the pipes should exit into the boot area. There is quite a large round grommet already there which I will try to use but if unsuccessful there is a large rectangular removable panel that I could put the pipes through if needed. I think these panels are there to assist in changing the awful handbrake pads which are almost impossible to change without dropping the suspension cage.